Download Qu’ran Transliteration, the best Version for non-Arabic-people. This app offer the Quran Transliteration, an easy version to read and learn the Noble Quran. You can read and recite the Quran with English letters to pronounce it better and make it sound like you were reading in Arabic. If you want to recite the Quran, this is the app for you: the Transliteration in English. 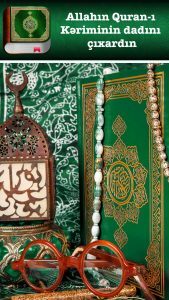 Enjoy the Quran, the unique and in-imitated Word of Allah, free on your phone. 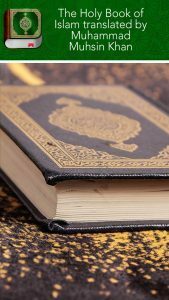 The Quran (in Arabic al Qur’an, “recitation”) is the word of Allah revealed to the Prophet Mohamed by the Archangel Gabriel. Even if you read the Quran in Arabic or English, you can try this version that can help you to pronounce the Arabic words better . Download our complete app to read and learn the Quran: Quran in English Transliteration. This is the Marmaduke Pickthall ‘s English Translation of the Holy Quran. The Quran is the Divine Word of Allah revealed to Muhammad (peace be on him). It’s the source of the Islam and serves as criterion of right and wrong. The Holy Quran is a guidance from God to all mankind. Anyone wanting a life in obedience to God, should read the Quran and follow these teachings. Now you can have the Quran on your mobile device to read it anywhere. We present the translation made by Marmaduke Pickthall, an English novelist converted to Islam who translate the Holy book into English. 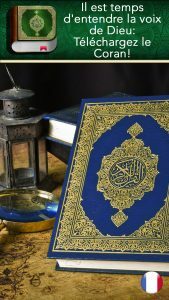 The Quran is the direct Word of God, which was revealed to Muhammad, the last messenger sent by God for all the Mankind. The prophet received the divine revelations over a period of 23 years. Enjoy this complete app with the Holy Quran Pickthall, for free. Discover the Quran translated by Muhammad Muhsin Khan, the notable translator of the Quran, completed along with Muhammad Taqi-ud-Din al-Hilali. Their translation was called “The Noble Quran”. Dr. Muhammad Muhsin was born in 1345 in Qasur, Punjab Province, Pakistan. He gained a Degree in Medicine and surgery from the University of Punjab, Lahore. He moved to England and studied in the University of Wales. He worked in the Ministry of Health, in Saudi Arabia for 15 years and then he worked as the Director of the Islamic University Clinic, Al-Madinah. Muhammad Muhsin shared with Dr. Muhammad Taqi-ud-Din Al-Hilali the translation and Interpretation of the Qur’an into English. With this app, you can read the Holy Quran for free on your mobile at any time of the day. Now you can read the entire Koran translated into English! La meilleure inspiration pour commencer votre journée! Le Coran en ligne vous permet de lire les sourates et versets du Coran , sur votre mobile, à n’importe quel moment de la journée. Le Coran ( en arabe al Qur’an, “la récitation”) regroupe la Parole d’Allah qui a été révélée au prophète Mohamed par l’ange Gabriel. Mohamed reçut l’ordre de Dieu de transmettre le Coran à toute l’humanité. Il était un illettré, alors depuis le moment où le Livre a commencé à être révélé, il dictait ses textes à ses scribes. Le manuscrit originel a été écrit en arabe et il n’a pas souffert aucune modification. Le Coran a été révélé dans une langue vivante actuellement, parlé pour plus de 100 millions de personnes. 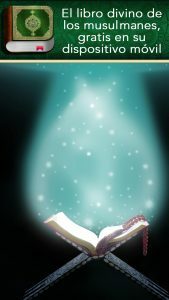 Mahoma no sabía leer ni escribir, así que a medida que recibía el sagrado mensaje , se lo dictaba a sus seguidores y escribientes. Quranı Azərbaycan dilində telefonunuza pulsuz yükləyin və oxuyun. Sizin yeni günə başlamanız üçün ən yaxşı ilhamdır! Quran sizə günün istənilən vaxtı Qurani-Kərimdən surələr və ayələri online oxumaq üçün imkan verir. Quran (ərəbcədə Əl-Quran yəni “oxunmaq”) – bu, Allahın müqəddəs bir sözüdür, Məhəmməd Peyğəmbərə (Allahın rəhməti Onun üzərinə olsun) Cəbrayıl mələyi ilə nazil edilmişdir. Müsəlmanlar Hz.Məhammədin (Sav) Allah tərəfindən İslama göndərilən son peyğəmbər olduğuna inanırlar. Bütün ömrü boyu, ölümünə qədər Məhəmməd vəhy etməyə davam etdi. Nə oxuya bilirdi nə də yaza bilirdi, buna görə də Quran ayətlərini əzbərlədi və yazdı, sonra da əshabına oxudu. Bütün Quranı əzbərləmək proqramı hələ də Müsəlmanlar tərəfindən istifadə edilməktədir. Milyonlarca insan Ərəbcədə bütün Quranı əzbərlədi. Orginal əlyazması ərəbcə yazılmışdır və o hər hansı bir dəyişikliyə məruz qalmamışdır. 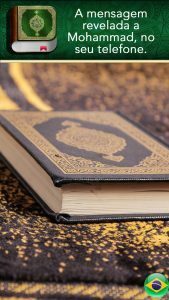 Quran, bu anda 100 milyondan çox insan üçün danışılan bir dil ortaya çıxartdı. A melhor inspiração para começar o dia! O Alcorão on-line permite ler as Suras e os versos do Alcorão, no seu celular, a qualquer hora do dia. O Alcorão ou Corão (em árabe al Qur’an,”a recitação”) é a palavra de Deus, que foi revelada ao profeta Maomé pelo Anjo Gabriel. O profeta recebia as revelações e as recitava aos seus companheiros que também as memorizavam e as escreviam. O profeta Muhammad faleceu e, na época de Abu Bakr, os companheiros do Profeta decidiram reunir o Alcorão. Os ensinamentos do Alcorão são universais, dirigidos a todas as pessoas do mundo. O manuscrito original foi escrito em árabe e ele não sofreu modificações. O Alcorão foi revelado em uma língua viva, falada atualmente por mais de 100 milhões de pessoas. Hoje, oferecemos-lhe a oportunidade de ler o Alcorão completo traduzido para o português. O Alcorão tem 114 capítulos chamadas de suras e cada um delas divididas em versículos (ayat). No total, existem 6236 ayats. Download dan baca Al-Quran Suci ini dalam bahasa Indonesia gratis di perangkat mobile Anda. 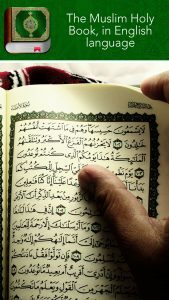 Al-Quran online ini membuat Anda bisa membaca Surah dan Ayat-Ayat Al-Quran setiap saat. Al-Quran (dalam bahasa Arab Al-Quran, “pembacaan”) merupakan firman Allah yang suci, yang disampaikan kepada Nabi Muhammad (S.A.W) oleh Malaikat Jibril. Orang Muslim percaya bahwa Nabi Muhammad S.A.W. adalah nabi terakhir yang diutus oleh Allah untuk memulihkan Islam. Sepanjang hidupnya, Nabi Muhammad terus mendapatkan wahyu hingga kematiaannya. Dia tidak bisa membaca dan juga menulis, sehingga dia harus membacakan ayat-ayat Al-Quran tersebut kepada para sahabatnya yang juga menghafal dan menulisnya.